Looking for a USED VTL-350? Taiwan Takisawa Technology Co., Ltd. is specialized in manufacturing precision machine tools and PCB (printed circuit board) drillers for domestic and international markets. 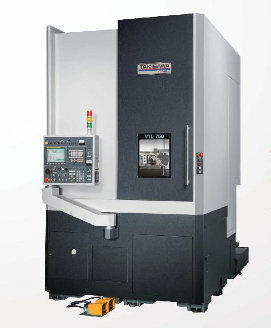 In the machine tool line, there are small and medium CNC lathes and nonCNC high speed precision lathes. for PCB drillers, we provide 6-shaft and 7-shaft models. Taiwan Takisawa is also and OEM partner for all types of lathes that it builds for Japanese companies. Major customers for our CNC lathes are the bicycle, motorcycle and automobile industries, as well as parts processing plants supplying the aeronautic industry. for years, the precision and stability of our products have been highly acclaimed by various industries, leading to a 15% market share in Taiwan. 58 ModelsView more about Taiwan Takisawa Technology Co., Ltd. Looking to Purchase a New TAKISAWA-T VTL-350? T.W. Ward CNC Machinery Ltd.
ISTANBUL MAKINA VE OTOMASYON SISTEMLERI A.S.